Swan Kitchens is Back on Track’s in-house café. It’s staffed by volunteers and service users, who are rebuilding their lives after problems with homelessness, substance misuse, mental health and offending. Swan Kitchens offers real work experience opportunities and a chance to explore a career in catering. It also enables us to provide cheap and nutritious food and drink for the people who use our centre. It isn’t just about catering – people learn customer service, financial literacy and business skills as well. 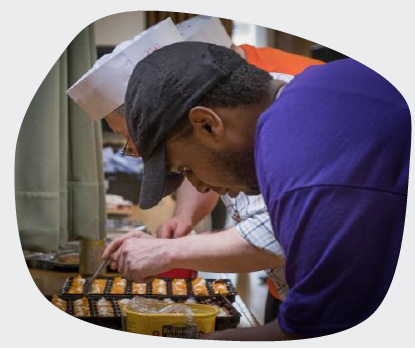 Our café and catering enterprise is staffed by trained volunteers. Since the project started in 2016 34 cafe volunteers – a third – have gone on to paid work. What do the café team do? The Swan Kitchens team run the cafe day to day, cook, and serve customers. 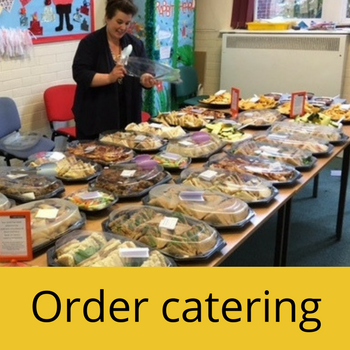 They also provide outside catering, which means preparing buffets for meetings and events. Every day between 9.30 and 3.00. We serve hot meals, sandwiches, snacks and hot drinks at low prices. The café isn’t open to the general public, but the team do run market stalls in Manchester, so everyone can enjoy our famous cakes! 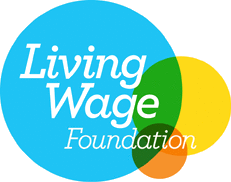 The cafe avoids food waste by working with Fairtrade, which gets surplus food from supermarkets. We use vegetables grown in our own allotment. We also use a wide range of Fairtrade products.